Performance and availability monitoring plays a crucial role for the health and overall wellbeing of the modern business infrastructure. 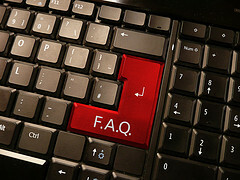 However, there still exist some common misconceptions associated with remote website and server monitoring practices. We hope that by revealing the real facts, we will help you make an educated decision so that you can use the optimal arsenal of remote monitoring tools to your advantage. Monitoring every single piece of network hardware is not, by all means, mandatory. Monitoring more than what you really need is neither time- nor cost-efficient. Business-critical systems usually represent only a fraction of your infrastructure. Involving people with intimate knowledge of your IT ecosystem in the decision making process will save you money and time. One of the great features of agentless monitoring solutions is scalability. If you are not quite sure about the resources you need to monitor, start with the basic service and a limited set of servers, or websites. You can always expand and spend on remote monitoring when you need it. There are a lot of interesting ways in which you can use our monitoring services. Engaging in online reputation management is also one of them. A main prerequisite for establishing a good name for you and your business is being transparent. But let's face it, eventually your website will experience downtime. It happens even to the best of sites. And more often than not it is your responsibility keep track of the performance and availability of your website, and take proper action when needed. In the unfortunate event of your website going down, for one reason or another, it won’t take long for your visitors to find out. It is better for them to learn about it from you rather than speculate on social networks about the outage. 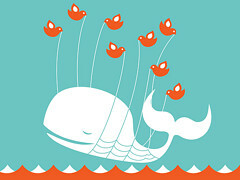 Do you remember how Twitter used to have issues remaining online under heavy use? 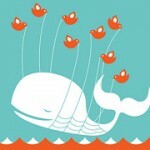 They came up with what became an internet meme - the fail whale. It was their own way of saying: “Yes, there is a problem and we are working on it”. What’s the fun in having a fully functioning API if you can’t play around with it, right? Sometimes data is needed in different forms to serve a specific purpose. APIs are great when the existing interface and available functions are not enough. Getting data straight to spreadsheets is great for custom reports and graphics. So, let’s learn how to do this. Today we are going to focus on XML and export data with the HTTP API. Before we start, let me remind you that if you want to replicate and build upon any of what I’m writing below, you will need to register for any of our services – paid, trial or free. They will all give you access to our API and what you have in your account. Due to their nature, online poker sites are quite interesting to monitor. Along with other niches such as money transfers, live scores and FOREX sites, poker is relying on steady wind and a minimum set of interruptions to function properly. Poor performance and unavailable services are likely to cost players to any site failing to meet common expectations. We’ve decided to test the 10 most popular pokers sites and now we are ready to present our results. Poker can be fun and a lot of people choose to spend their leisure time spending a few bucks online. We hope our test help you choose the best place to try your luck. Since we have already discussed the history of the Golden Shield project and how the Great Firewall of China works, it is time to see how the Chinese netizens can get around it. There are a number of ways to get through. Even those without skills can seek help from tech-savvy individuals and still get around the Great Firewall. 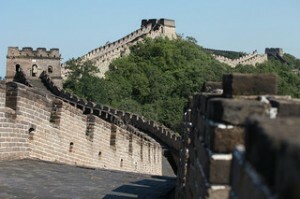 The different methods to bypass the Great Wall require different levels of dedication and resources. The Chinese government is always trying new techniques to prevent users from circumventing the shield. Controversially, internet censorship is helping smaller industries to develop. Let’s have a look at what’s currently available at hand.